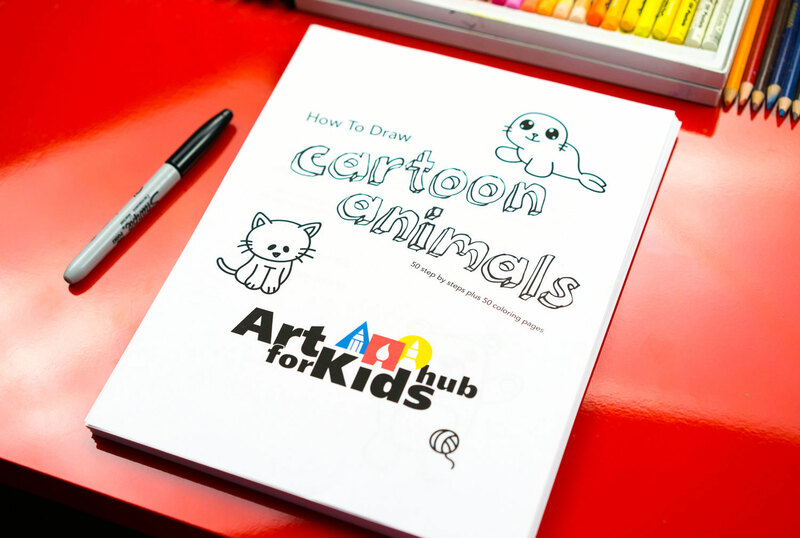 Learn how to draw 50 different cartoon animals! Included in this digital ebook download are 50 step by steps and 50 coloring pages. 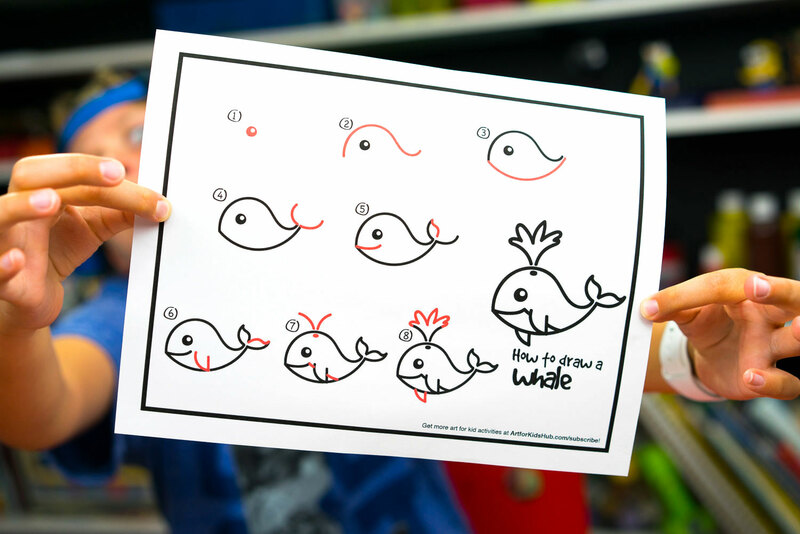 Your kids will enjoy hours of funny, cute, and easy to draw animals. 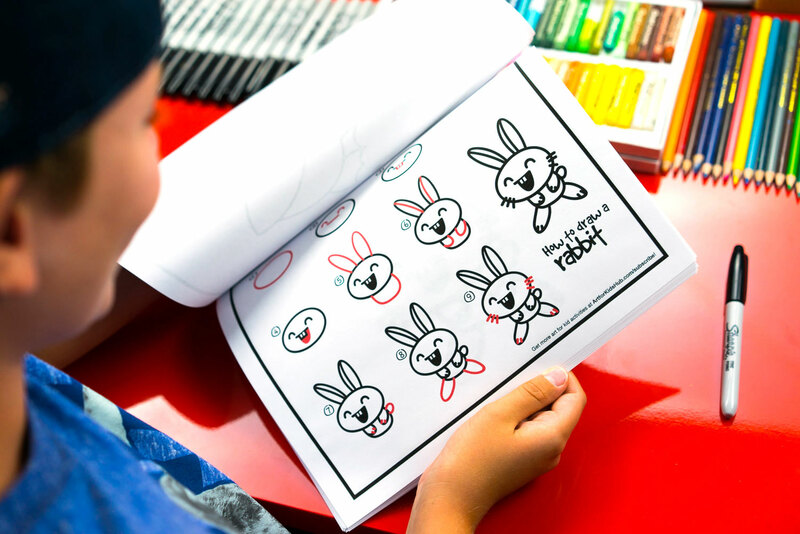 If you’re an Art Club Member then you already have access to most of these printables. Once you’ve downloaded the ebook you can print the whole thing out, or use your printer settings to print specific pages. 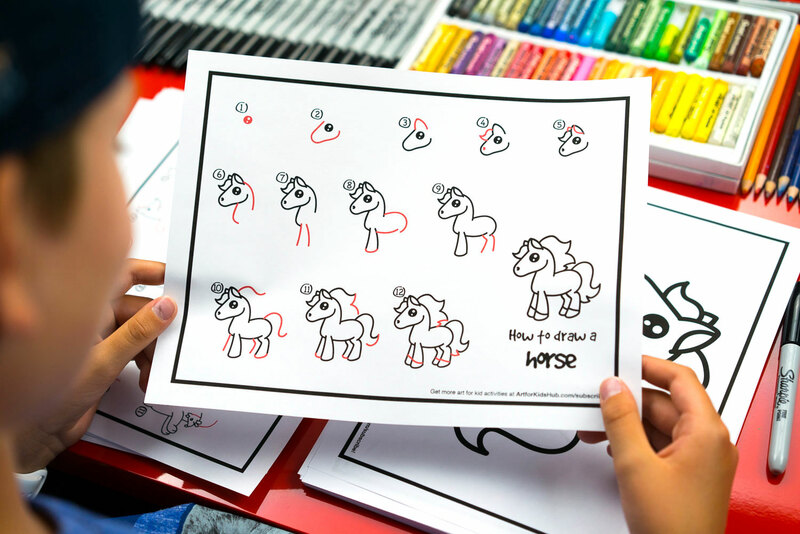 These lessons work great in the classroom and homeschool. You can also laminate your printables to keep them lasting a long time. Check out this art tip for more details on laminating. Below are some examples of the pages printed out. 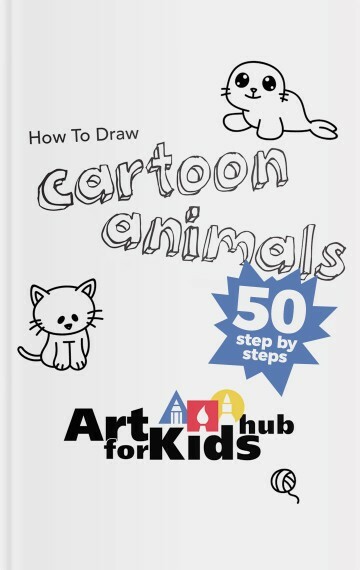 You’ll also find a list of all the animals contained in this ebook. Printables marked with an asterisk (*) can only be found in this ebook.